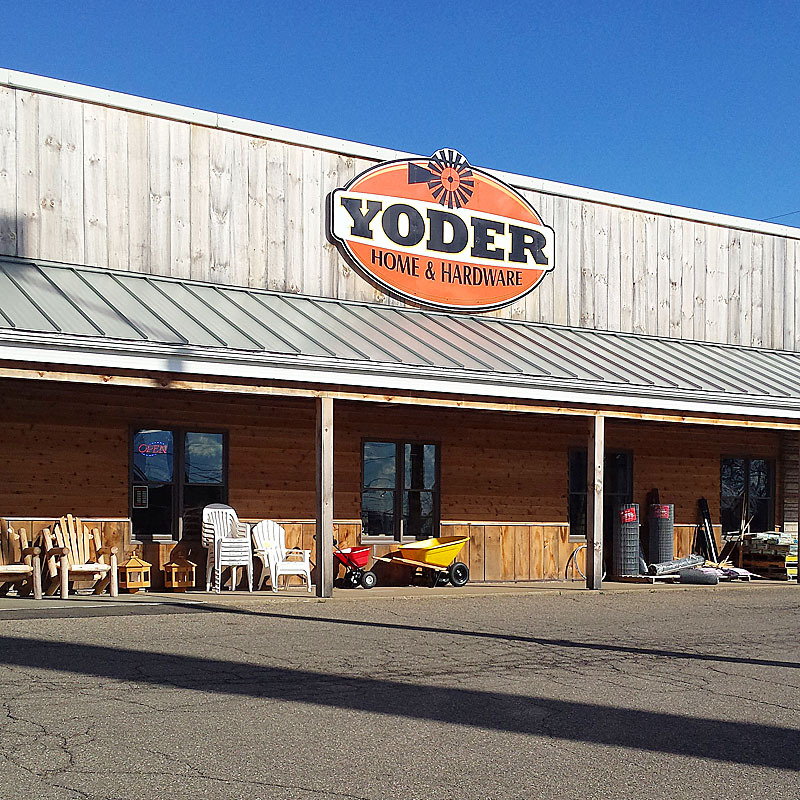 Located in the former Schlabach's Store building, Yoder Home and Hardware is a family-owned business established in 2015 by Sam Yoder. 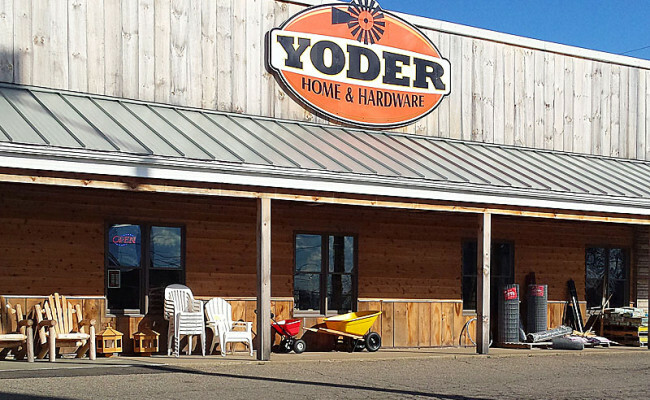 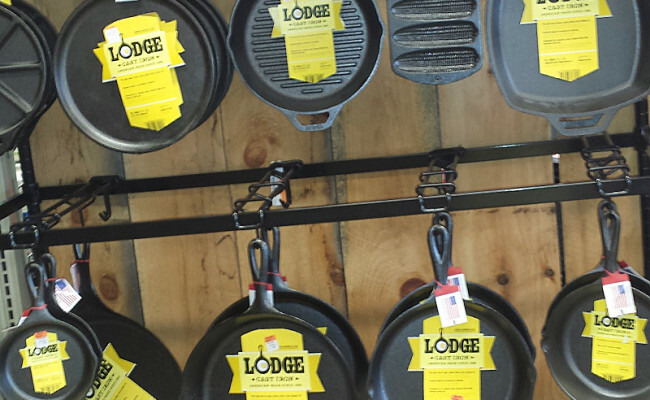 The Yoder family is committed to providing useful, practical products at an honest value. 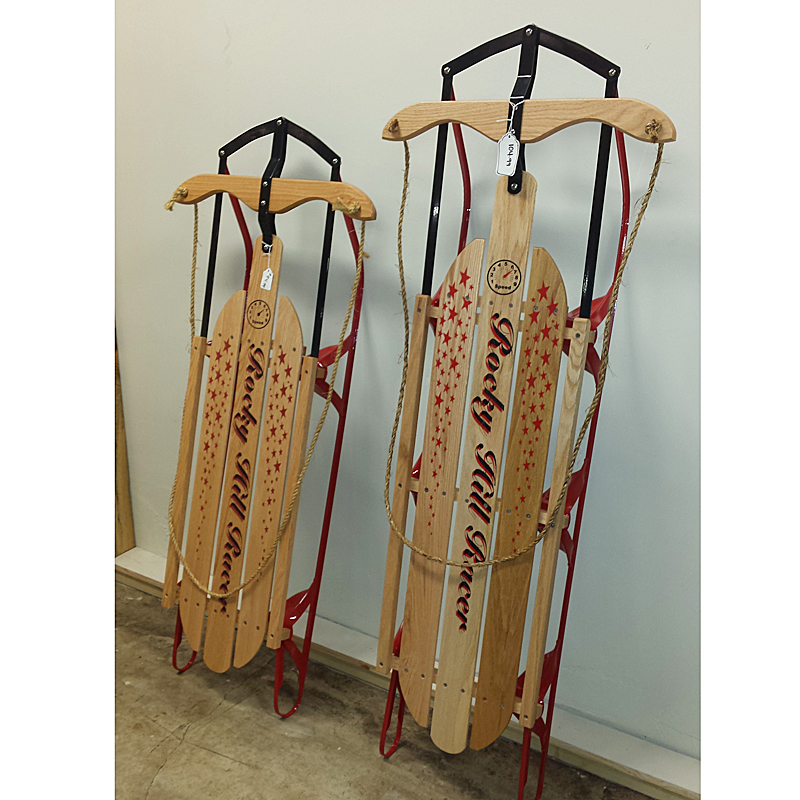 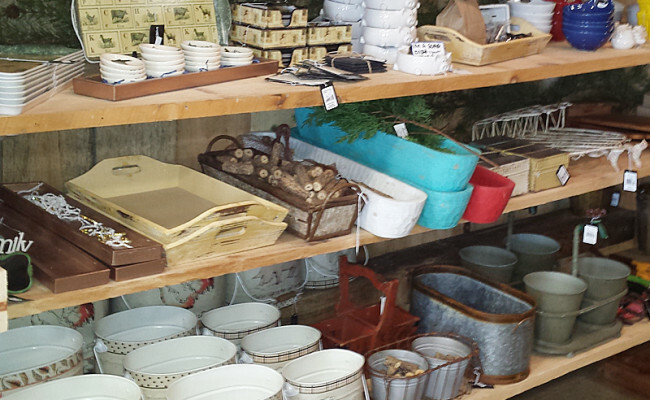 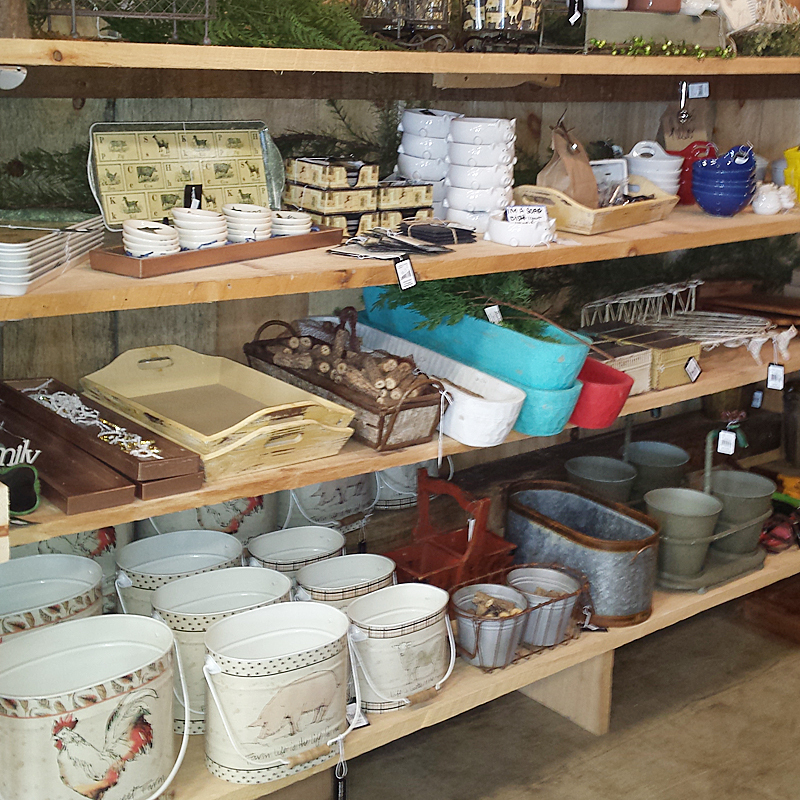 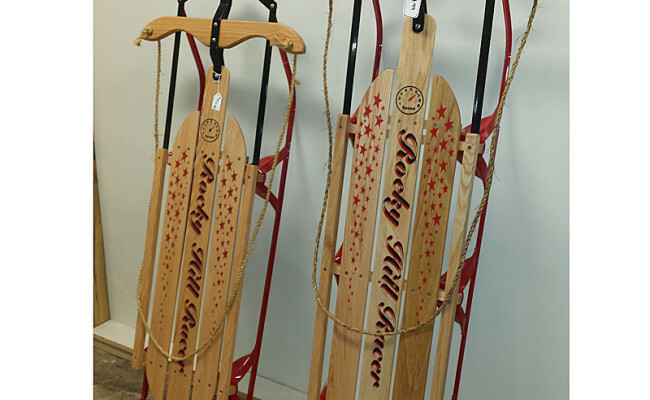 You'll be reminded of days gone by with the selection of Berlin Flyer Wagons and wooden sleds and galvanized tubs. 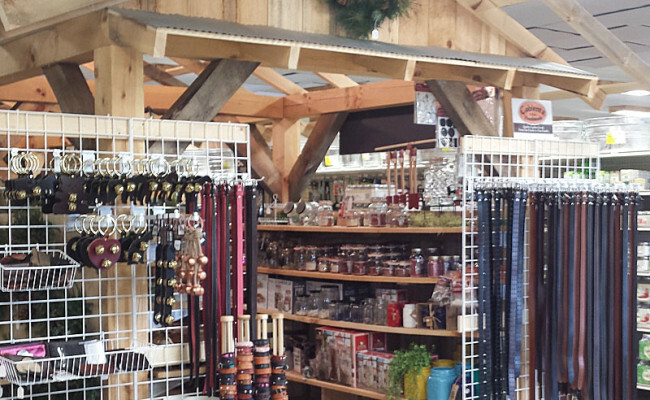 Clothes drying racks and oil lanterns (just like the Amish use) provide non-electric solutions for those interested in going "green". 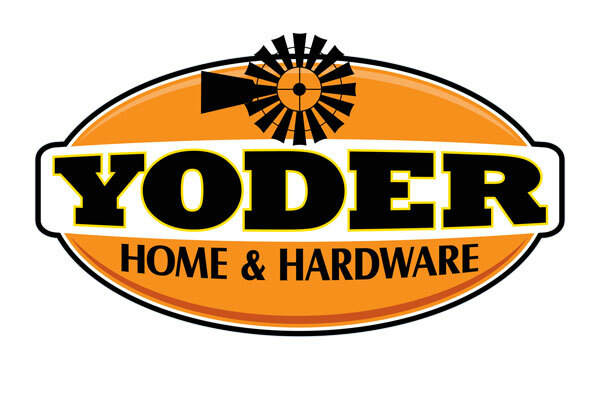 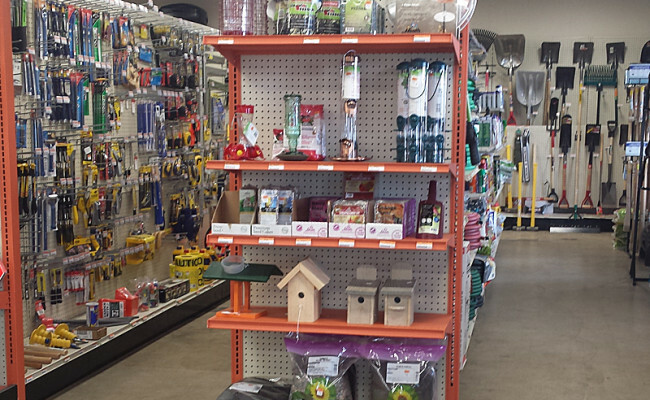 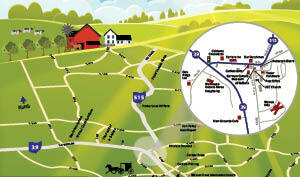 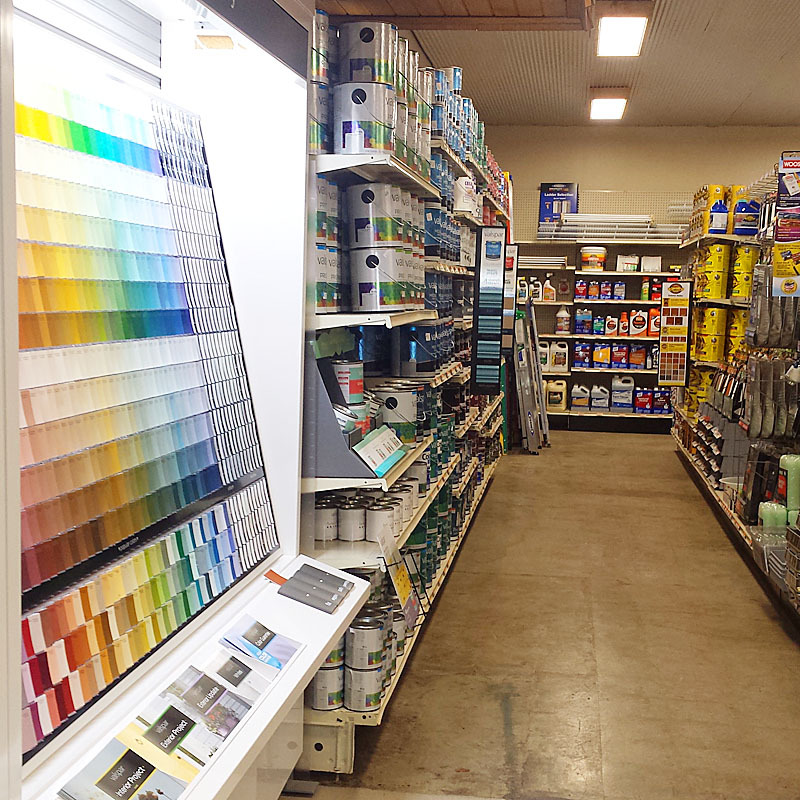 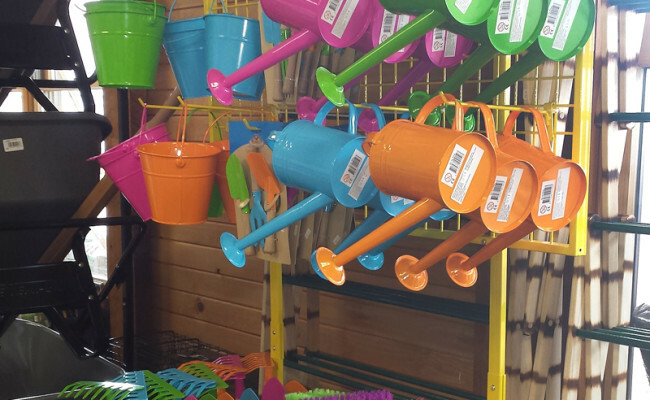 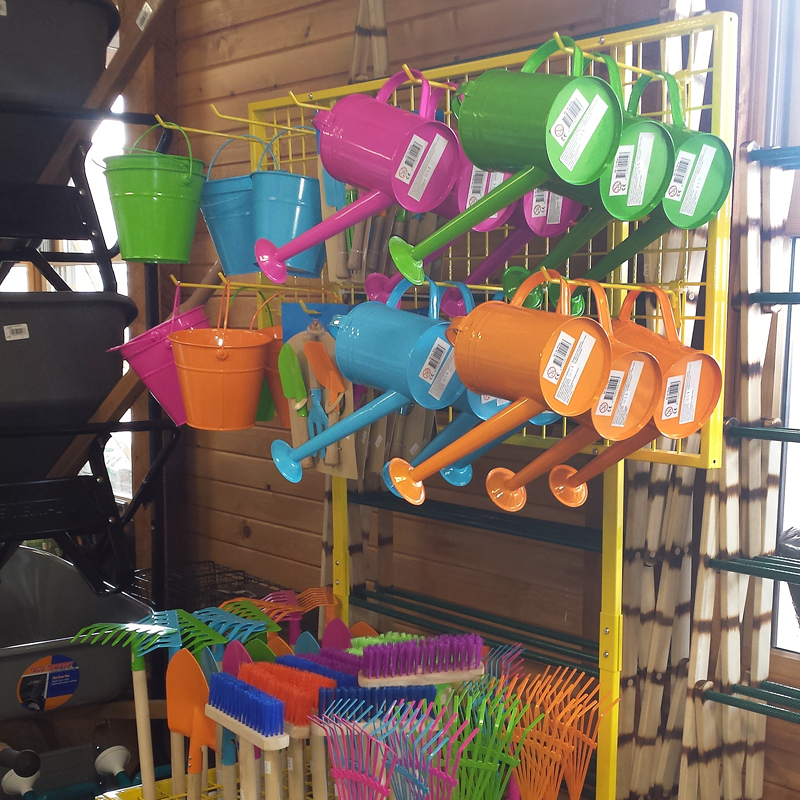 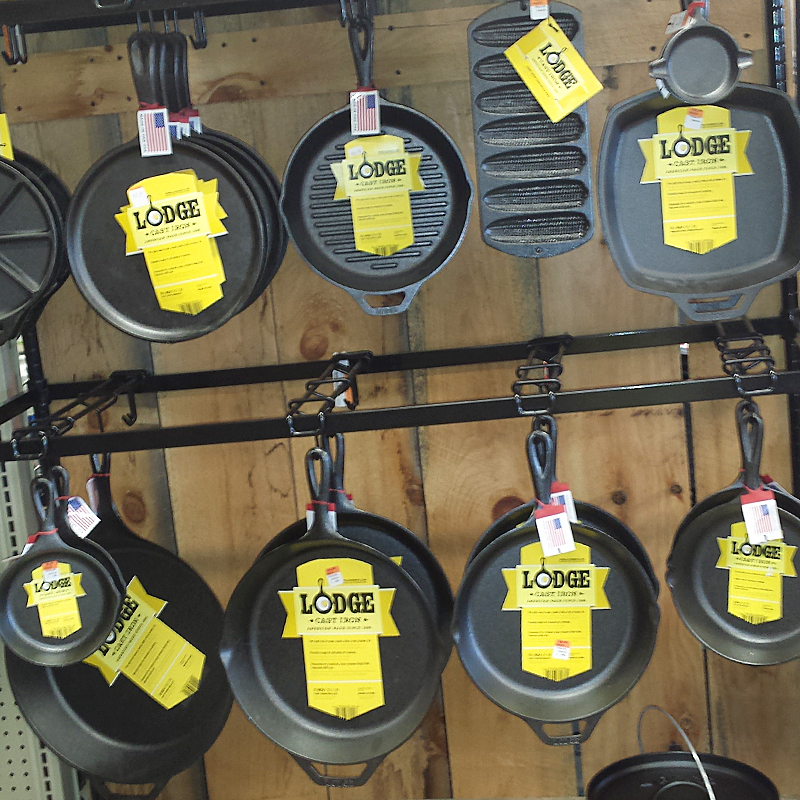 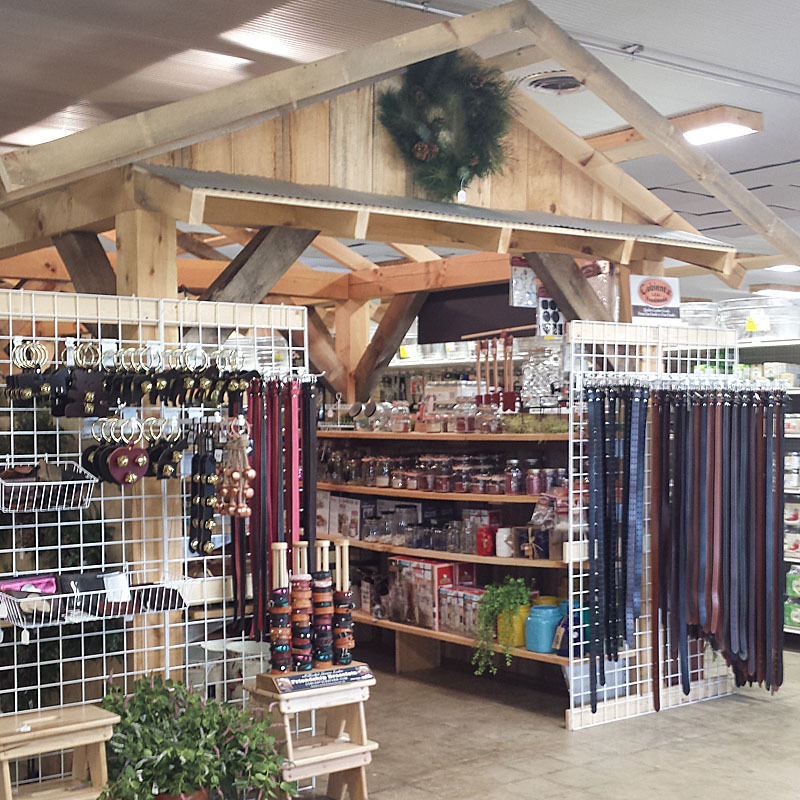 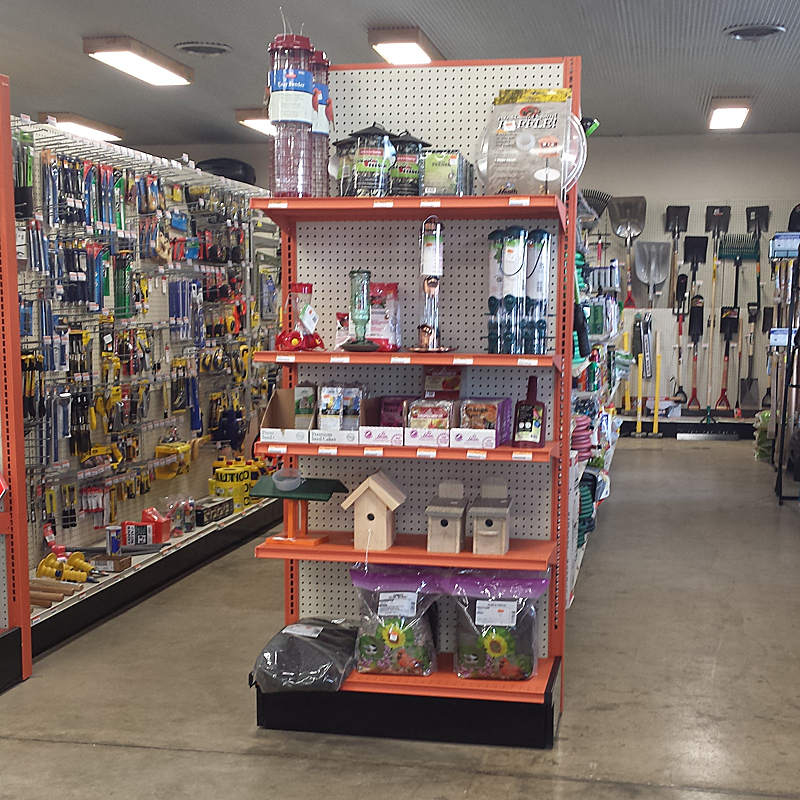 If you're from out of town and have forgotten a few necessities, Yoder's Hardware can help. 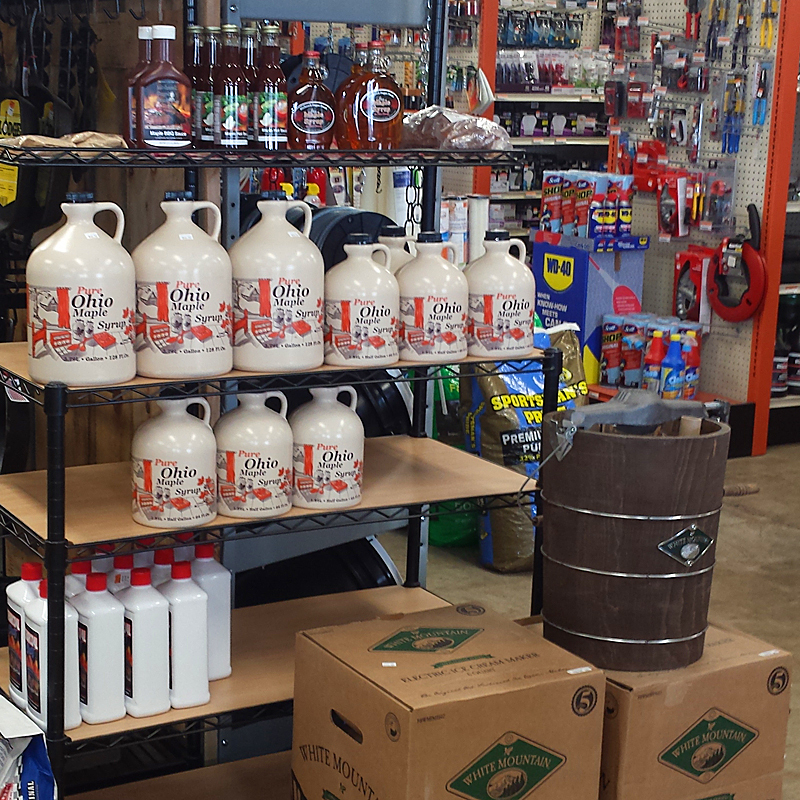 Grab some tools, motor oil or antifreeze for your over heated RV camper. 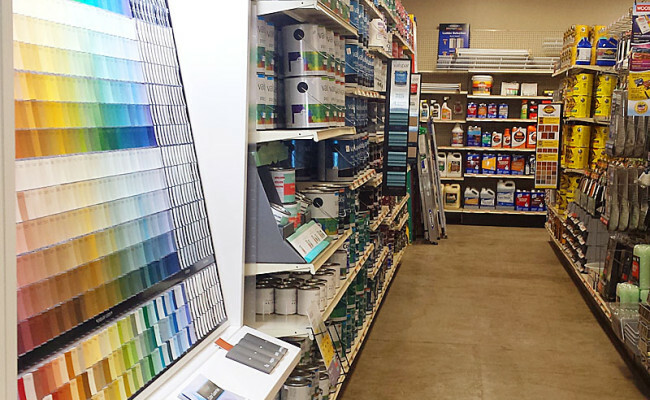 Or, pick a new paint color for your dining room from their Valspar paint selection. 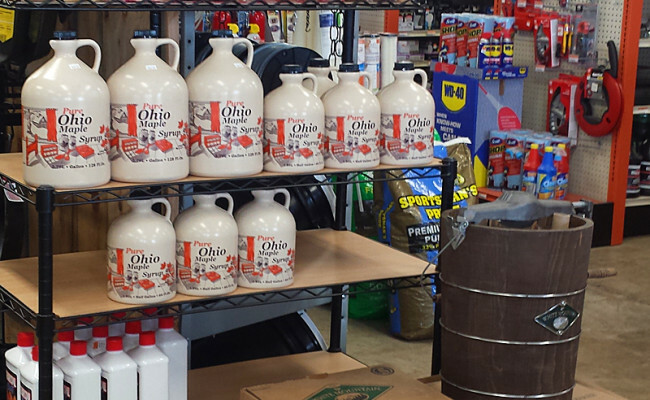 Locals find Yoder's a quick and handy alternative to driving for miles for water softener salt or a bag of nails. 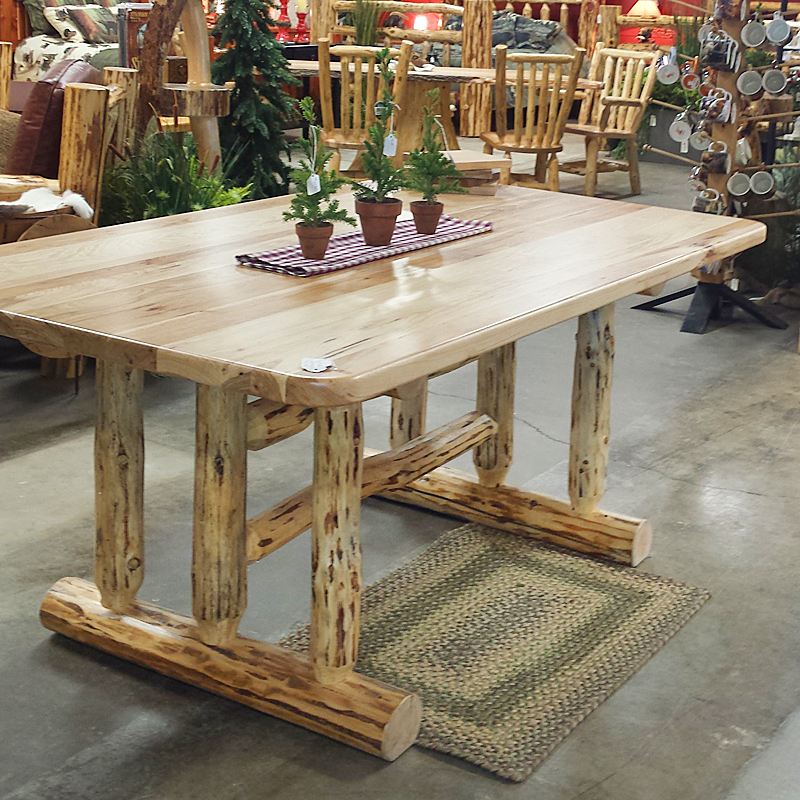 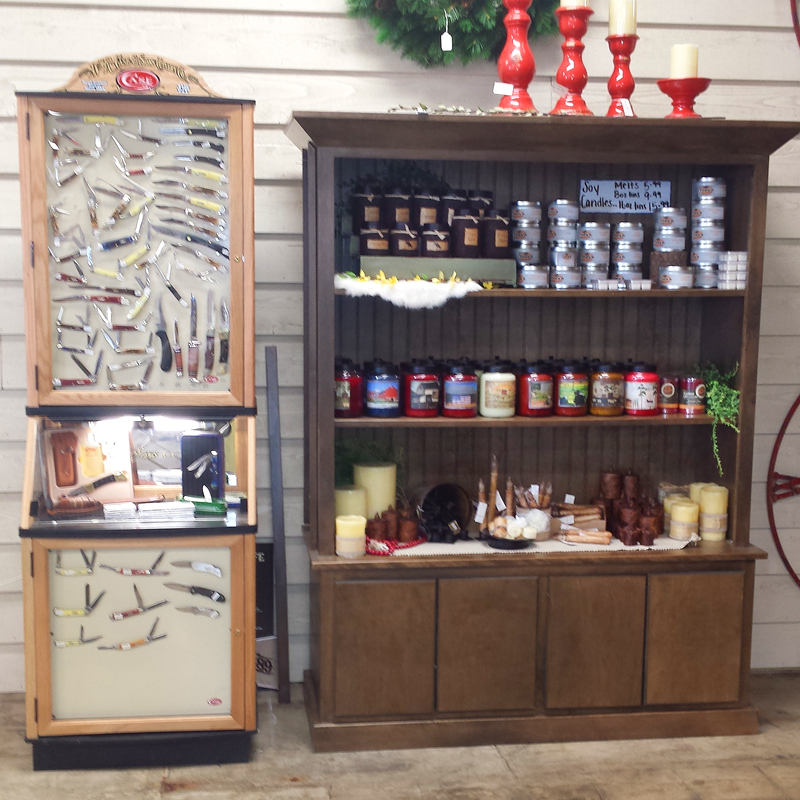 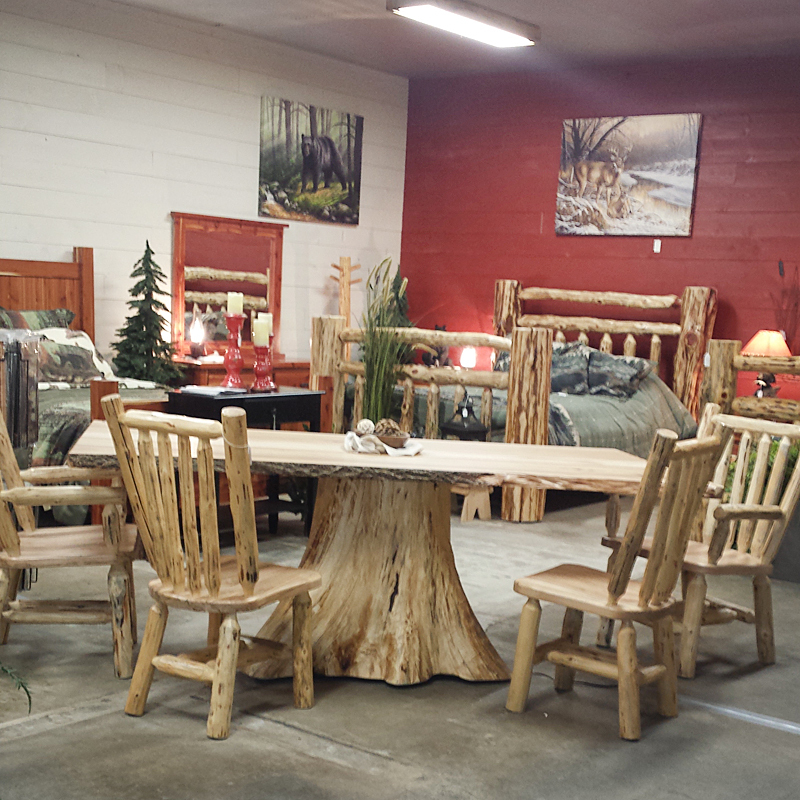 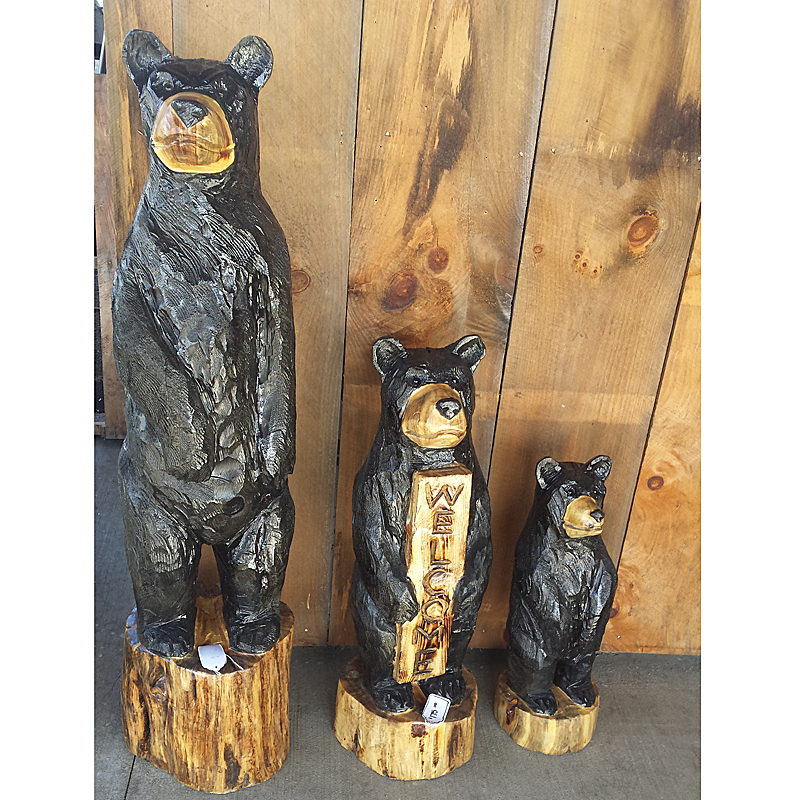 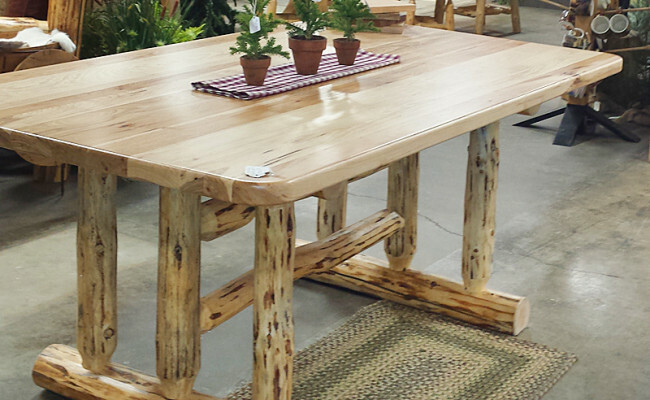 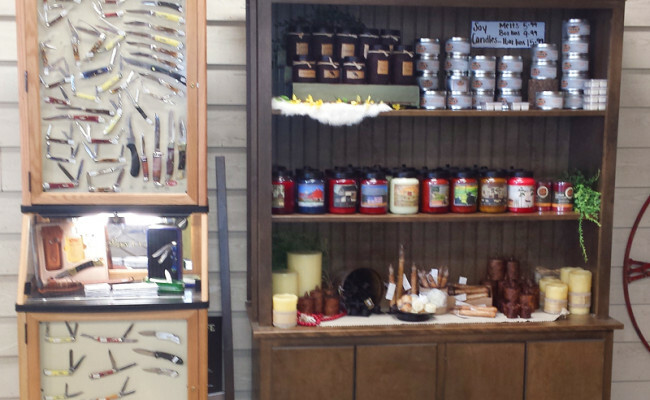 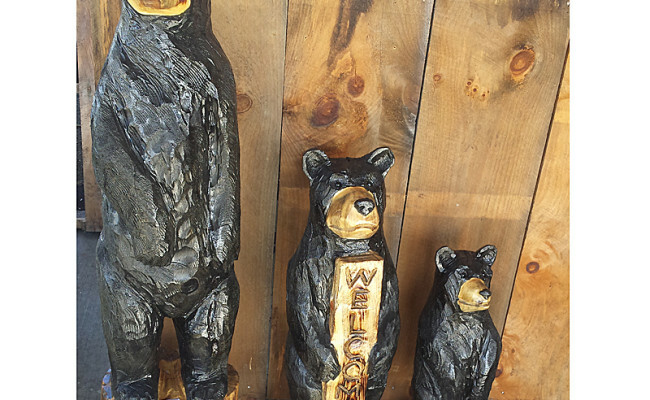 Rustic log furniture is part of the display in the store. 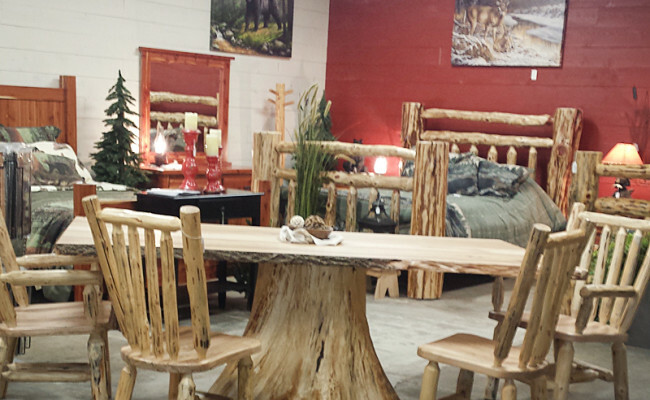 From chairs to bedsteads, ask them about a custom order or buy off the floor.